Simon’s career began in 1967 when he joined CBS News as a reporter and assignment editor, focusing on campus unrest and inner-city riots, the Associated Press reported. Throughout his career, Simon was variously stationed at the State Department, CBS’ Tel Aviv bureau and war zones around the world. When the U.S. pulled out of Vietnam in 1975, Simon was aboard one of the last helicopters to leave Saigon, having reported on the war extensively. While covering the Gulf War in January of 1991, Simon was taken hostage by Iraqi forces near the Saudi-Kuwaiti border. He and three other members of CBS spent 40 days in Iraqi Prisons, an experience he later recounted in his book “Forty Days.” Undeterred, Simon returned to Baghdad two years later to cover the U.S. bombing of Iraq. Along with the adulation of his colleagues, Simon won numerous awards over the years, including 27 Emmys, the most for a field reporter, CBS said. Heartbreaking news about Bob Simon of @60Minutes, a brilliant writer and reporter and someone I admired deeply. 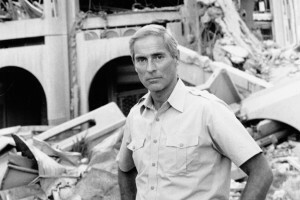 #RIP Bob Simon – great reporter, going to be sorely missed – thoughts and prayers with his family. Simon was born on May 9, 1941 in Bronx, New York. He graduated Phi Beta Kappa from Brandeis University in 1962, with a bachelor’s degree in history. He is survived by his wife, daughter and grandson. Simon’s final segment for “60 Minutes,” his interview with “Selma” director Ava DuVernay, aired last Sunday.